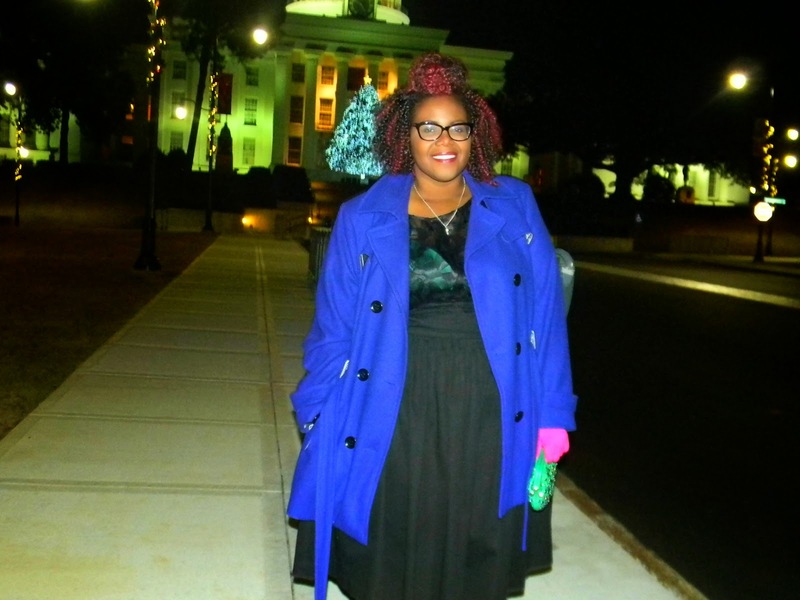 Here is the last look from "A Curvy Holiday" series collaboration. This time the ladies and I decided to go with a look for the social look for the holidays. 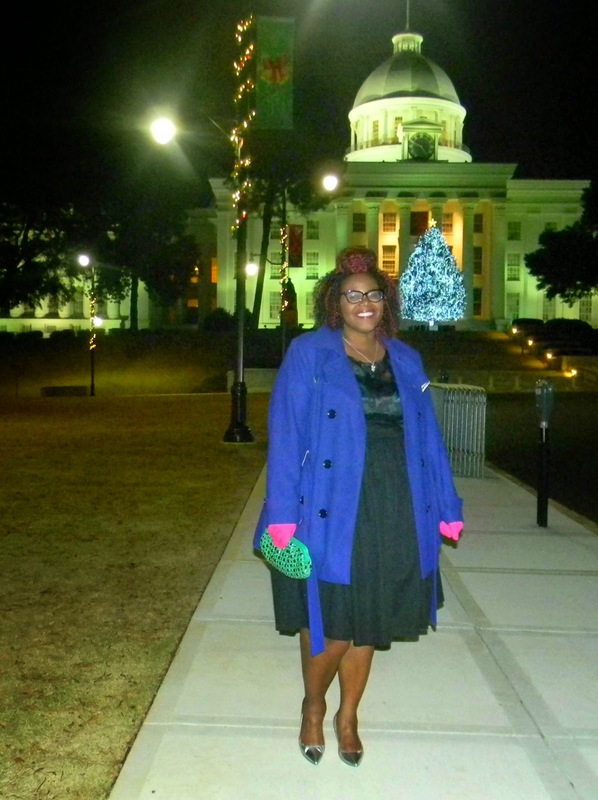 I went for a holiday night on the town with girlfriends. Of course, you can't do a holiday look without Jibri, well.... I can't do a holiday without Jibri. This is my ever faithful High Waist Flare Skirt from the awesome designer. I often thought about getting more options of the item but decided to stick to buying the classic pieces that will last well beyond it. lifetime. This skirt does all that and more. I've worn this skirt all year round for several occasion in my life. 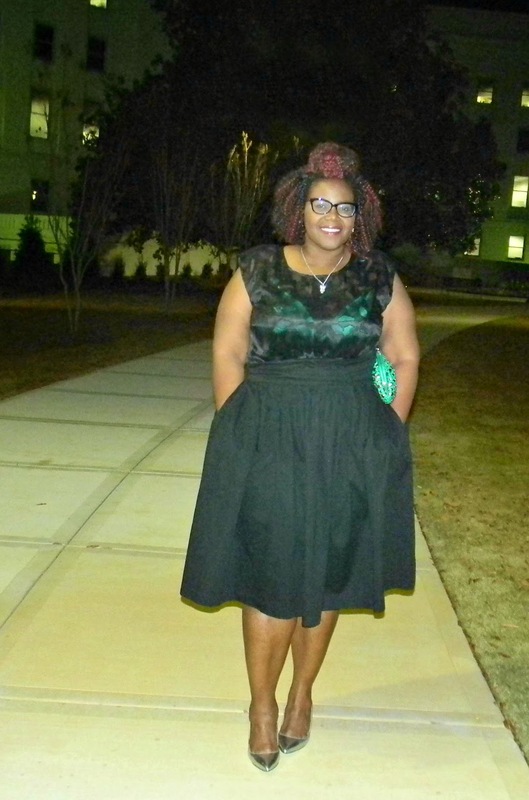 I paired the skirt with a sheer burnout top from JCP with a festive green lace bra from Lane Bryant. 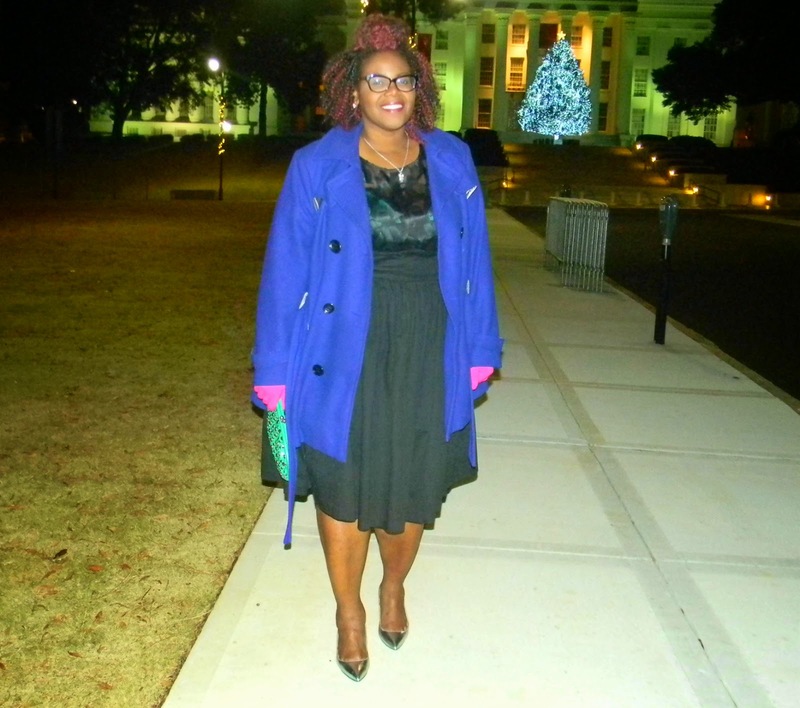 I wanted to keep the pops of color throughout the outfit so my Cobalt coat was the perfect topper. Need More Curvy Holiday Inspiration? 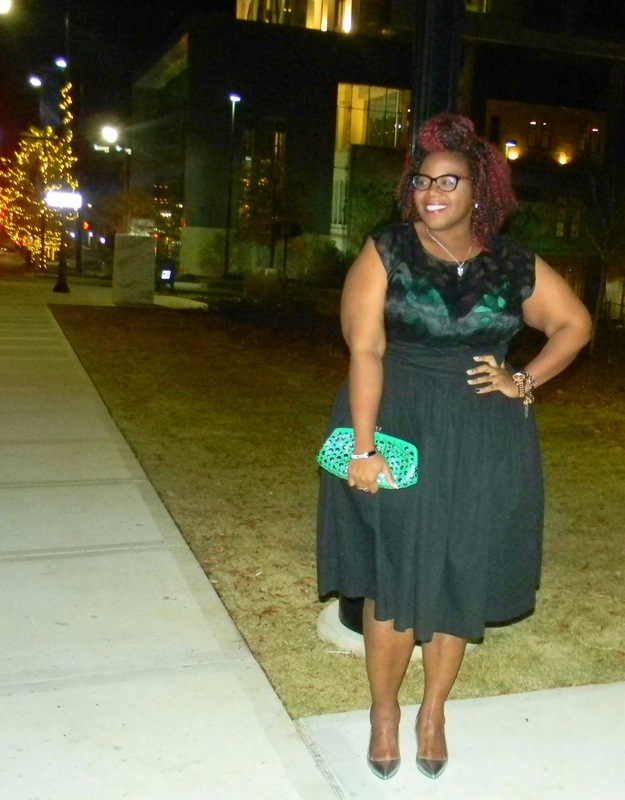 Make sure you Click the Link and check out my Blogger boothangs. I"m loving this I need to bite the bullet and get me a Jibri skirt one of these days. Thanks Luv! YES!!!! I save up just for her Black Friday Sale. This was $60 and I wear it at least 2 times a month. You look fab!!! 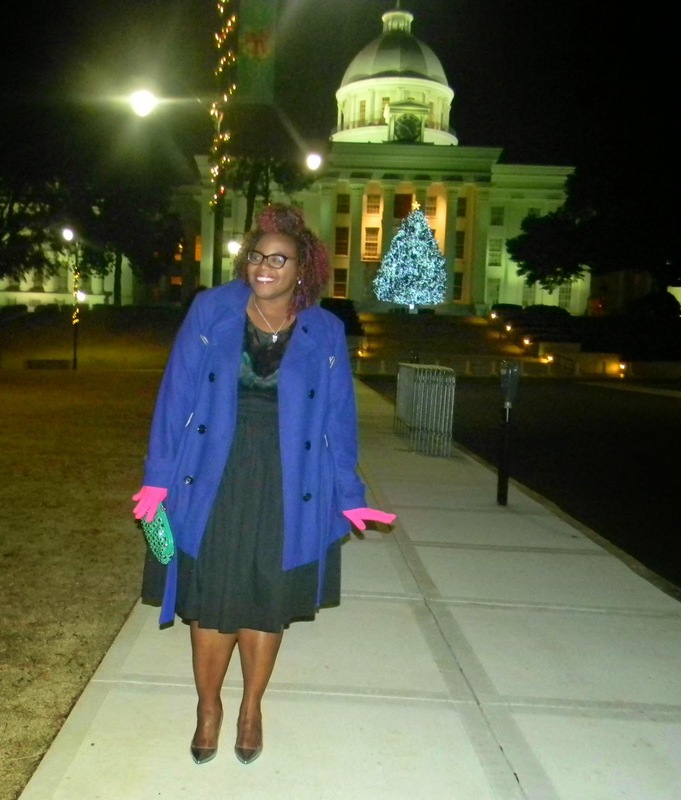 Love the Capitol behind you! It’s really fruitful to have some innovative summer party ideas. For cocktail holiday party where you may want to serve a refreshing natural and nutritious dessert, it would be great accompany a platter full of fresh fruit with a shot of a fruit smoothie.